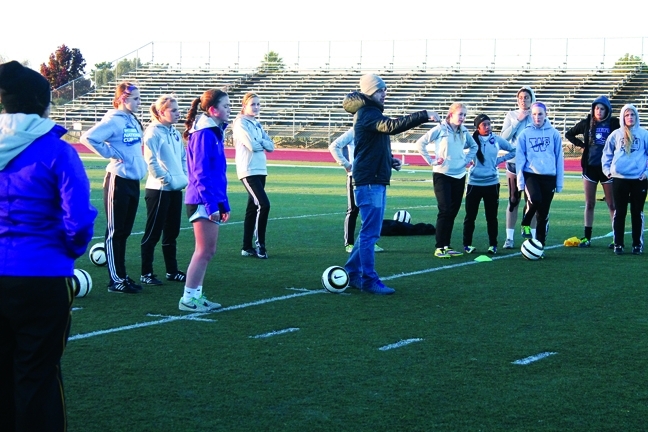 The Righetti High School girls’ soccer team will compete in the With Hope tournament for the second year in a row to raise awareness for teen suicide. Death is an inevitable part of the human condition—sometimes it’s even a welcome form of peace. But choosing death as a way to overcome suffering that could be treated, or prevented, is a tragedy. With children and teens, it may be hard to fathom why one so young would take his or her life, but each year, more adolescents are judging that their lives are no longer worth living. More children and young adults die from suicide every year than from cancer, heart disease, AIDS, birth defects, stroke, and lung disease combined. Suicide is also the third leading cause of death for 15- to 24-year-olds. 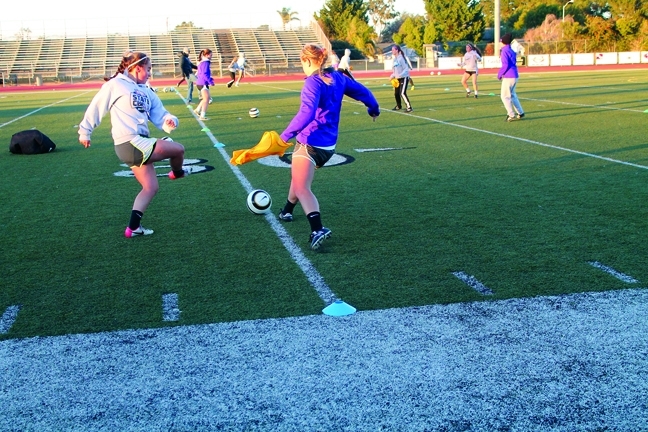 For the second year in a row, the Righetti High School girls’ soccer team is raising awareness of teen suicide and prevention. The With Hope Foundation, a nonprofit dedicated to eliminating teen suicide, organizes the tournament, which is held at Yorba Linda High School and features teams from Southern California. Righetti is the only local team that attends. The Warriors’ head coach John Pranjic said all the team did last hear was listen to the message of the With Hope Foundation’s founder, Annette Craig. 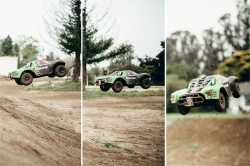 But this year, the team decided to take it a step further. “We got our parents involved and we’ve done a better job at spreading the word around our own campus,” Pranjic said. The coach added that they have also raised more money for the foundation than they did last year. While the games and worthy opponents are a plus, the real benefit comes from supporting a good cause. Suicide is a touchy subject, and words are often left unsaid. Pranjic said the With Hope Foundation has a very tough job because its members talk about something no one wants to acknowledge. “The reason this tournament is important is that it gets thousands of people talking about [suicide], whether it’s direct or indirect,” he said. Pranjic wants his players to understand that no subject is off limits, and that staying quiet in the face of suffering doesn’t help anyone. “The right thing to do is to help them, and sometimes that means seeking help from others,” Pranjic said. Warrior players Hannah Hurd, a center back, and Taylor Duguran, a midfielder, said this is an emotional tournament. While this tournament aims to educate teens about suicide, it’s also important for athletes. “Athletes keep up with school and their sport so you wouldn’t think they would have a giant burden,” Duguran said. Both players agreed that they’re not taught enough about suicide and mental health in school. They think more education is needed. Pranjic couldn’t agree more with his players. The best gifts are often the ones that help others. For the philanthropic sports fan in your life, consider making a donation to the With Hope Foundation (withhopefoundation.org) to help educate teens about, and prevent, suicide. For foundation chair Annette Craig, suicide is a topic that hits close to home. On May 25, 2005, shortly after having breakfast with family, Craig’s 14-year-old daughter, Amber, took her own life. Three days later, some of Amber’s friends came forward and admitted they knew she was thinking about committing suicide. This tragic loss, and the suffering of numerous other adolescents, prompted Craig to establish the With Hope Foundation in honor of her daughter, a former soccer player and stellar student. She added that she is very proud of the coach and soccer players at Righetti High School. She would love to see the Soccer With Hope Tournament expand throughout the area. Nearly one out of five high school students will consider suicide. Hear more of Amber’s story and get the facts on teen suicide at withhopefoundation.org. Staff Writer Kristina Sewell says speak up—you mean too much! Contact her at ksewell@santamariasun.com.